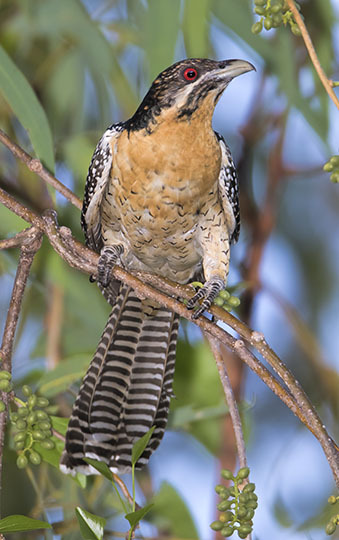 Koels are large cuckoos that specialize on wattlebirds and other large honeyeater hosts. 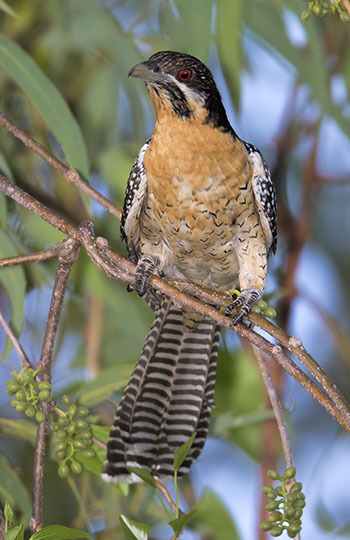 This is a female; males are black with red eyes. 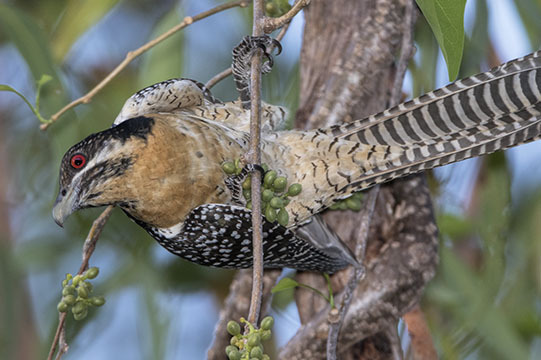 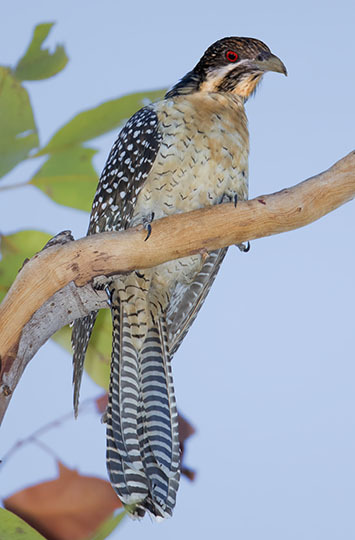 It was feeding in a fruiting tree in Kakadu Park in the Northern Territory.